Hunter Douglas Patio Shades to block the bright sun in our customers pergula. 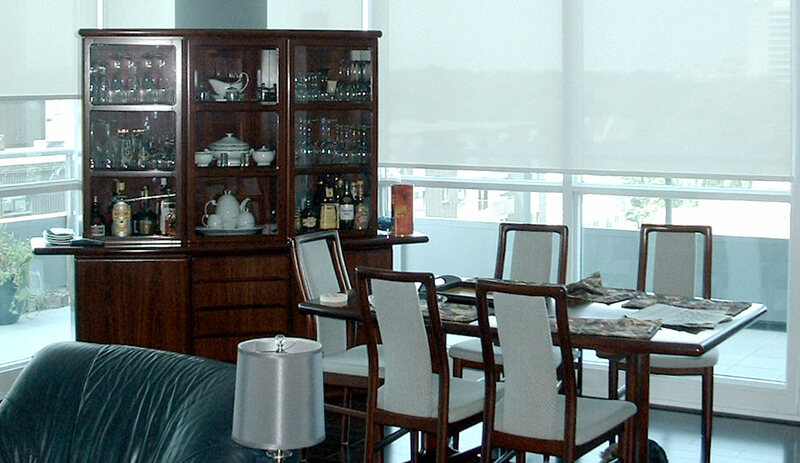 The traditional roller shade has been redefined with improved technology and sophisticated fabrics and accessories. 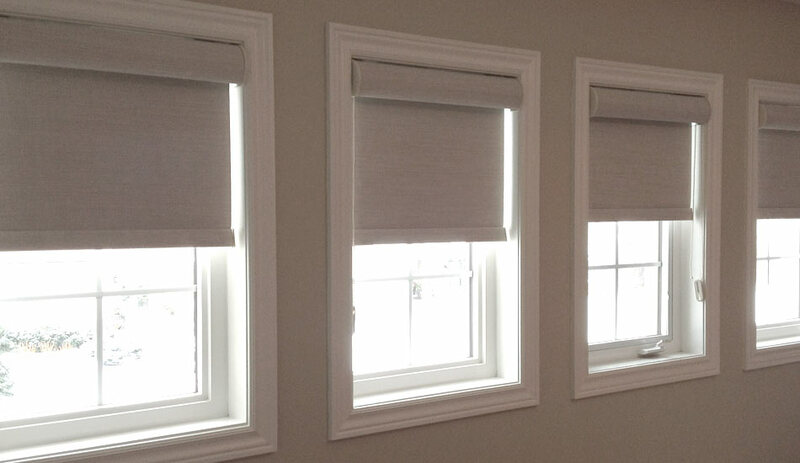 Roller shades have come such a long way and are stylish, fresh, fun and anything but ordinary. Available in hundreds of up-to-the-minute colours and fabrics including cottons, suedes, polyesters and solar screen weaves. Even a simple white roller shade looks amazing and keeps your space fresh. 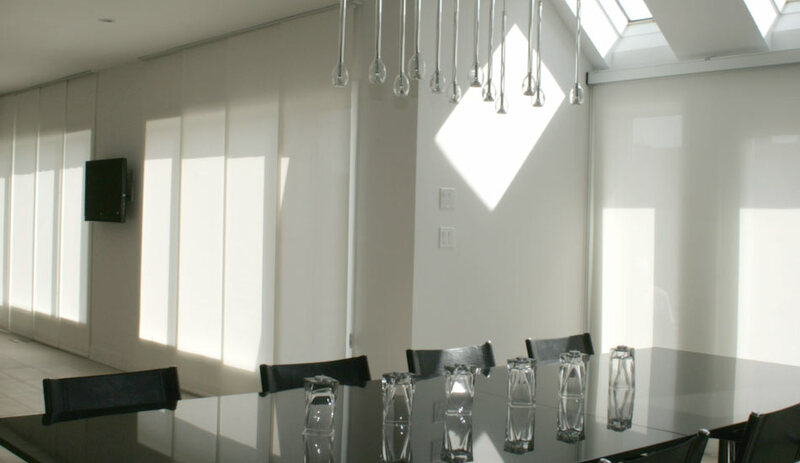 Choose from sheer light filtering to opaque room darkening for excellent light control. The standard lifting system is a continuous beaded cord which raises and lowers the roller blinds. Cordless lift systems are also a new and improved option and are fantastic if you have small children or animals and want to eliminate cords completely. 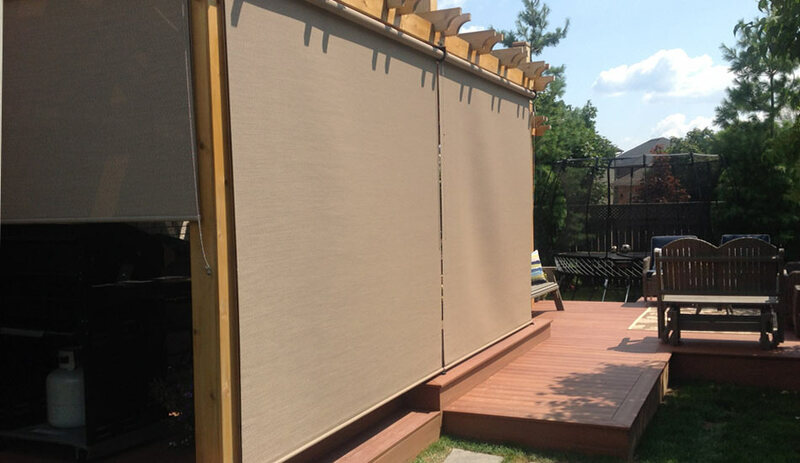 For the first time you can now get the Ultraglide retractable cord to operate your roller shades! Looking for something that will be sure to impress? With the touch of a button, lift and lower your window coverings to the desired position while you enjoy the convenience of motorization. 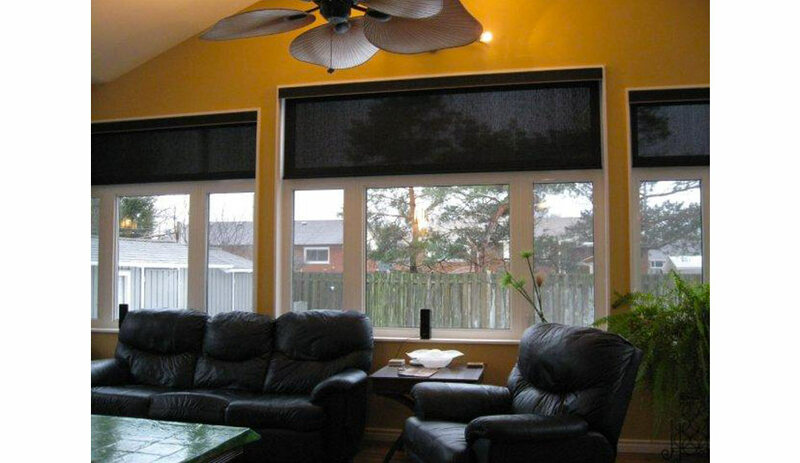 Screen shades are an innovative combination of sheer beauty and functional technology. 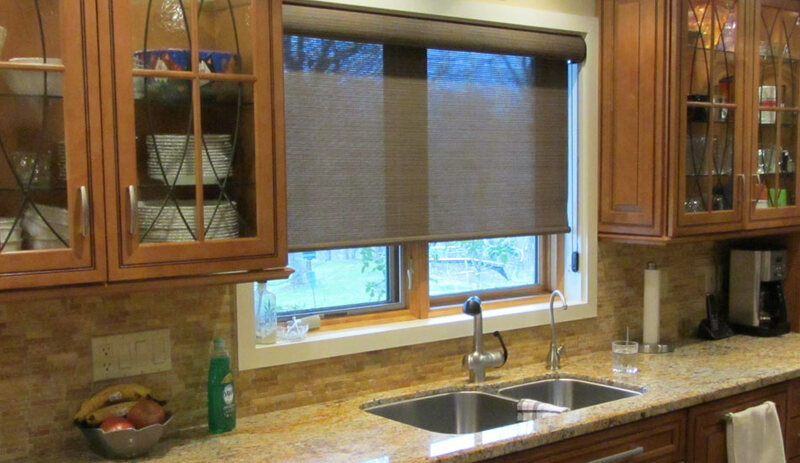 Usually seen in restaurants and commercial applications these window fashions are becoming more and more popular for homes and condos. 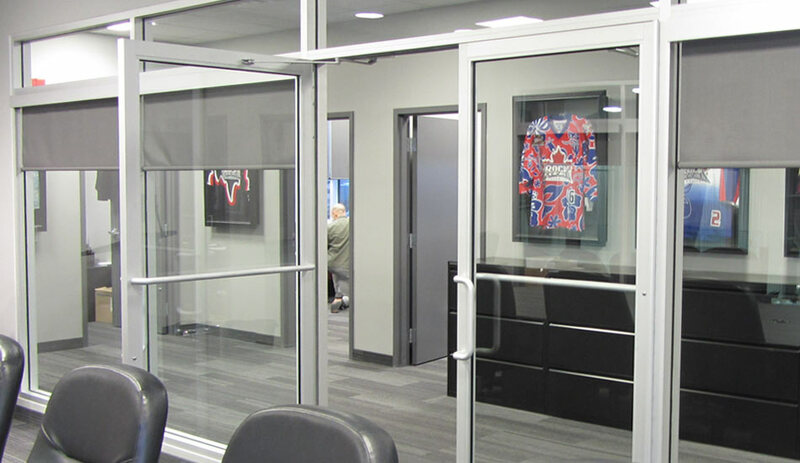 They offer visibility of the outdoors while protecting valuable furnishings from harmful UV rays indoors. These are a fantastic option for large windows as they can span very large distances. They are also exceptionally good at keeping the glare off of your computer or TV screen. 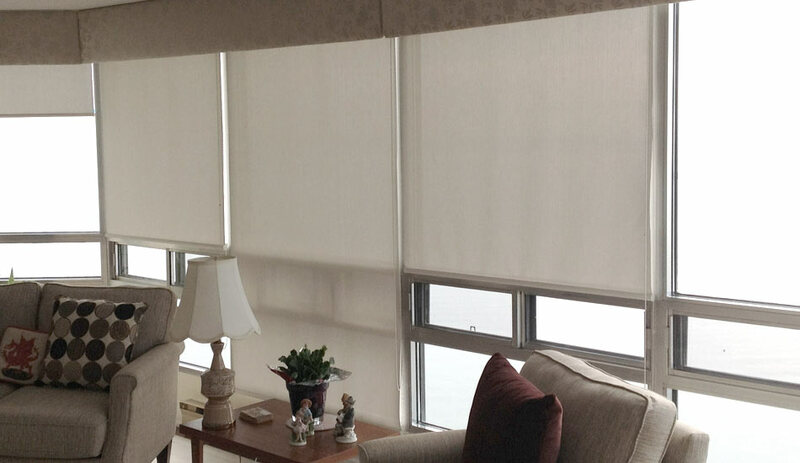 Choose from a wide selection of fabrics from Designer Screen Shades and Skyline Gliding Window Panels that can be used in both horizontal and vertical applications. This option is best suited for multiple windows requiring both applications because it will create a nice uniform look. 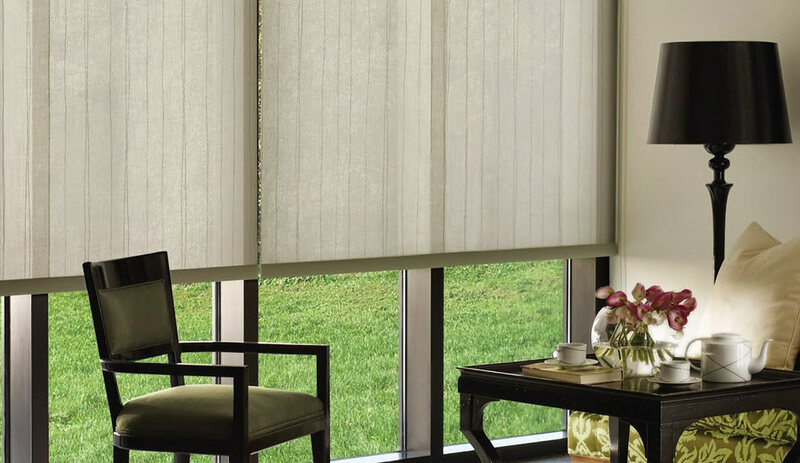 A range of decorative hems, valances and trims lets you indulge your personal style to customize your shades. Also available is a Dual Shade – Choose from a large selection of fabrics of different opacities which will give you room darkening Choose a sheer to semi sheer fabric on one shade for filtered light during the day. Choose a light blocking fabric for the other shade for enhanced privacy at for you at night. Never before has there been this much light control in a roller shade!